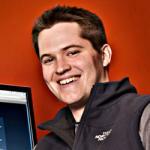 Tim Hamilton is the founder and principal of Astonish Designs, a web and software development firm based in Austin, TX. Tim started the company in high school and expanded it while studying Economics and Management Information Systems at the UT Austin. A decade later, and Astonish has grown to a team of 11 talented professionals that design and build web solutions for a variety of clients and industries. We excel at new product development for entrepreneurs and automating manual processes for high growth small-to-medium sized businesses.